California's relentless four-year drought has had some unexpected consequences. It’s uncovered lost bits of history -- ancient petroglyphs and remnants of mining towns at the bottom of reservoirs. And in the canyons of the Sierra foothills, the legendary rapids of the Stanislaus River are back. The Stanislaus feeds New Melones Reservoir, about 80 miles east of the Bay Area -- except that lately it hasn’t been feeding it much. The reservoir, which holds water for the federally operated Central Valley Project, has dropped to just over 10 percent of capacity. It's receded so much that some of it has reverted to flowing river, exposing rapids that disappeared when the Army Corps of Engineers erected a 600-foot-high dam, nearly 40 years ago. "Look above us now," Mark Dubois called out from the stern of a yellow inflatable raft. "Look downstream, you can see 40 feet above our heads would be reservoir in full season." Mark Dubois started running this river as a teenager. Now in his mid-60s, his bearded, 6-foot-8 presence is still bigger than life. He became world famous briefly in 1979, when he took a bold -- some would say, reckless -- stand to save this stretch of river from being submerged by the new dam. "I’ve been groping all those years and every year since to describe the magic of every square foot of this river and what it does to people’s lives," he says, "and I still have no words for it." But in 1979, when Dubois was 30 years old, he did have a kind of epiphany. 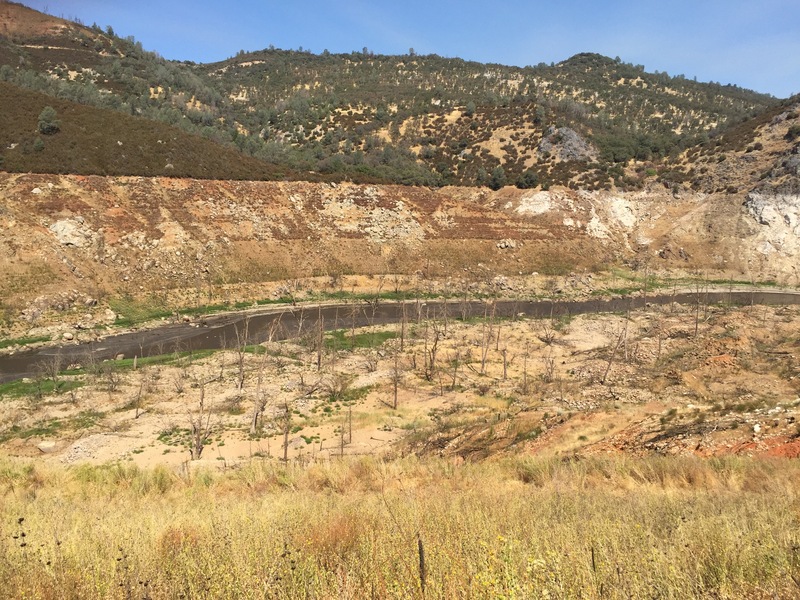 After years of protests and political action, it looked like he and his fellow activists had run out of options for stopping the canyon’s inundation, and the new, expanded reservoir was about to be filled. "In that moment I had no idea what I was going to do," he says, "but I knew that in that moment, I couldn’t just turn away." So Dubois went down to the hardware store, bought some chain, and shackled himself to a canyon wall at a secret spot on the river’s edge -- one that he knew would soon be underwater. He padlocked the chains and tossed the keys out of his reach. I asked him if he was actually prepared to go under. His thoughtful one-word reply: "Yeah." The move had been kept under close wraps. Dubois knew every corner of the canyon and was so well hidden that after several days of searching, officials suspected a hoax. But it was real, and Dubois' act stunned even many of his fellow activists. Gina Cuclis, who worked on the Save-the-Stan campaign as a college student, remembers her reaction when someone handed her a newspaper in late May of ’79. "Oh my god -- look what he did!," she recalls thinking. "And then it was stunned and shocked, but then it was like, wow. Wow." She recalls that at the time, she was nervous on Dubois’ behalf, but never actually feared for his life. "I was glad he did it because it was the big event we needed," Cuclis says. "How do you get attention? You gotta do something shocking, sadly." "I didn’t do this wanting to commit suicide," says Dubois. "I wanted them (the Army Corps of Engineers) to choose. It was: You are consciously deciding to flood all the life in this canyon. Now you can choose to flood one more life." At the time, the Stan was wildly popular among rafters and kayakers. It was the closest thing California could offer to a Grand Canyon-type of experience: towering limestone canyons and Class III whitewater -- rapids with "inviting" names like “Death Rock” and “Widowmaker.” But for all the morbid imagery, it was the life of the river that attracted Dubois -- and cemented his resolve. "You know, turquoise waters dancing around," he recalls. "The butterflies were dancing, the dragonflies were coming, the grapevines were reaching out, the wildflowers blooming, and in a moment, I just felt the life of that place." A few fellow activists joined Dubois in literally chaining their fates to the river canyon. The governor -- Jerry Brown, as it happens -- sent a plea to President Jimmy Carter to stop the filling. It worked, for a while. After a week in the canyon, Dubois came out with a deal in place to preserve at least part of the river, by filling the reservoir only partway. They managed to delay the flooding for a year, but ultimately the waters came, driven by the pressure for more irrigated land and the torrential El Niño rains of 1982. The nine-mile stretch of river, so beloved by so many, disappeared, bubbling back up only now that severe drought has exposed not only the rapids, but the memories and the grief. "Losing a place you love is like losing a person you truly love," says Cuclis. "It’s not a person but when it’s a place that has touched you, changed you, you feel a deep loss." Today, the river offers only faint shadows of what was; the canyon walls are scarred with high-water marks known as "bathtub rings," and groves of skeletal Ponderosa pines, submerged for decades, still stand a ghostly vigil near the riverbed, newly exposed by receding waters. As the same punishing drought revives the call for more water storage -- and to some that means more dams -- some of the new generation of activists have returned to the Stan for inspiration. "I needed to see this place for myself. I needed to come see this," said Eric Wesselman. He's the current head of Friends of the River, a job that Dubois himself held when the organization was just getting started. "I’ve studied the campaign," he told me as he was preparing to run the river with Dubois and a coterie of river enthusiasts. "Organizers like me yearn for the opportunity to be part of campaigns like that because they’re special and they’re magical and so powerful and great things can happen." Things did happen. 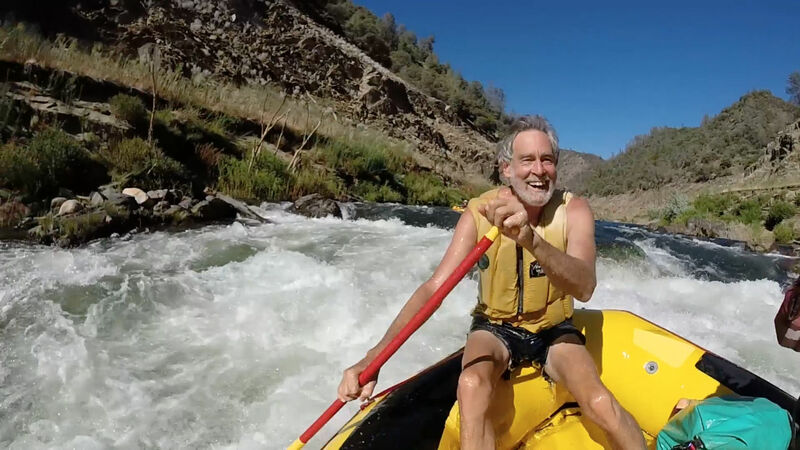 There’s little doubt that the Stanislaus campaign supercharged a national movement to save wild and scenic rivers, probably sparing the nearby Tuolumne River a major dam project. But for Dubois, the gains are still hard to balance against what was lost. Even today, he gets choked up contemplating it. He knows that, soon enough, rain will return and his lost world will again vanish beneath the waters of New Melones Lake.